Hardwood timber is a favourite material for varied building needs from floors to kitchen cabinets to roofs. The strength, durability and versatility of hardwood make it a suitable choice when you want first-grade construction. Apart from that, hardwood offers good-looking timber that you can incorporate in any decoration theme. Theos Timber Ltd is one of the reputable hardwood timber suppliers that you can use in Manchester and its environs. Besides construction, hardwood is used in various products such as musical instruments, utensils and furniture. Whatever your requirements are, we have the right products. Our family-owned business insists on sourcing hardwoods from sustainable sources, so our customers don’t have to fret over environmental conservation when using our timber. 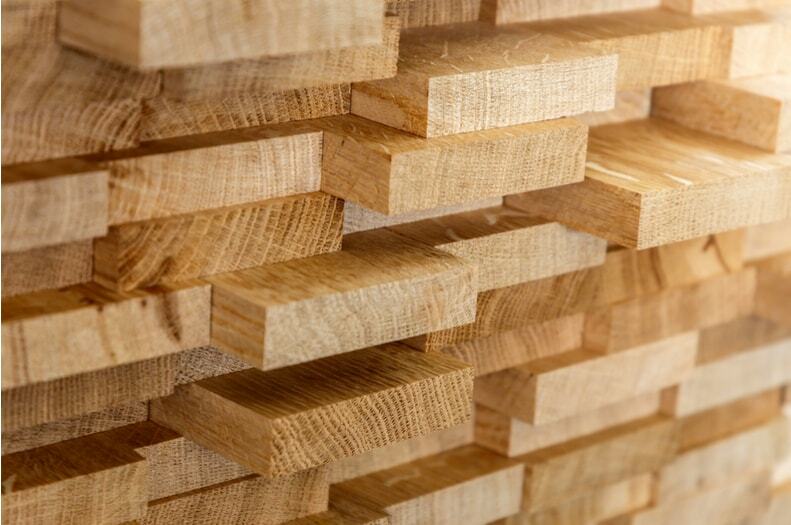 As seasoned hardwood timber suppliers, we carry different species of wood, including maple, oak, beech and ash to provide customers with alternatives. The timber is available in a host of pre-machined sizes from which you can pick the most appropriate, depending on your construction needs. For example, if you require timber pieces that will allow planing and saw blade use, the 2”x1” is suitable. Pre-machined timber reduces material wastage, especially when you already have you construction measurements. However, we also have unmachined hardwood options if your building requires it. Every piece of timber has to adhere to the strictest standards of quality control so that our customers can get dependable and safe products. When you are looking to buy hardwood timber online from a reputable timber supplier, Theo’s Timber Ltd doesn’t disappoint. You can count on secure transactions and apt customer services. Our friendly staff will consider all your requirements and help when it’s needed. If you require timber sizes that are not listed, talk to us. Whether you need timber for DIY home remodelling or commercial furniture making, Theo’s Timber Ltd are your ultimate hardwood timber suppliers for superior quality hardwood products. Give our timber specialists a call now on 0161 834 6789 or fill in the enquiry form below and we’ll get back to you as quickly as we can.